The Super Life of Ben Braver: The Incredible Exploding Kid is jam-packed with art and comic strips. It’s another wacky adventure from Marcus Emerson, the author behind the hit Diary of a 6th Grade Ninja series! Ben Braver (and Marcus Emerson) do it again! 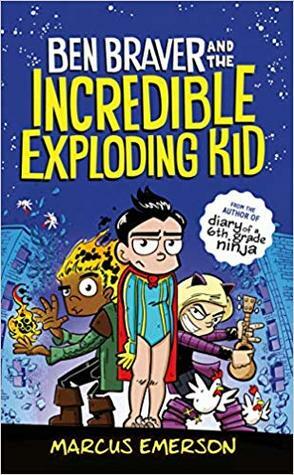 Ben Braver and the Incredible Exploding Kid is hilarious and fun and heartwarming. Ben is back at school for year two and still trying to hide the fact that, unlike all the other kids, he doesn’t have a power. Like the other kids though, he’s got a bit of an ego. He and his friends are still trying to solve the mystery they discovered in the first book, while also navigating their second year at their weird boarding school. With the headmaster mysteriously ill, boxing rings made of stretchy toes, crazy superhero costumes, and portals to warehouses, this book gets weird — and fun — fast. I flew through this book in one evening because I COULD NOT PUT IT DOWN. And I think kiddos will love it too. The characters are realistic middle schoolers encountering some realistic and some not-so-realistic problems. Plus, the book is filled with laugh-out-loud illustrations and comics that enhance the reading experience. 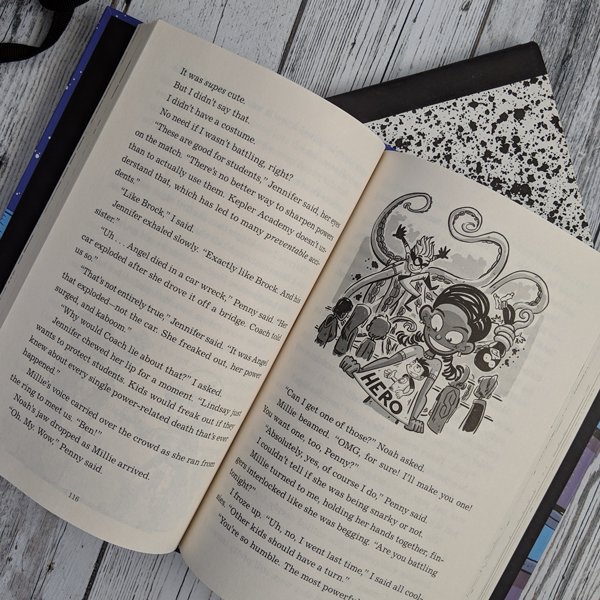 With the comics scattered throughout the book, it’s a great option to help kids who prefer comic books to chapter books read a little more prose. The comics and illustrations enhance the reading experience of this middle grade chapter book. I definitely recommend the Ben Braver books to kids (and adults!) who love superheroes, flawed heroes, hilarious hijinks, and mysteries. And, even better, this book wraps up the story but leaves a great tidbit to continue Ben’s adventures in more books. If you were trying to fake a super power, which one would it it?